A clean, fresh nose with a floral (wildflowers) and mineral impression. A rich, round palate that is faintly sweet. The finish is very peppery and slightly pithy with hints of citrus. Great right out of the freezer. Dry, crisp with mineral notes. Slightly viscous with a medium body. Very mineral-like on the palate with a spicy, peppery finish. Very versatile. A very pleasing nose reminiscent of clean fall rain. An amazing texture, rich and oily with notes of wet riverstone and fresh grains. Finishes with sharp, almost chewy bread notes. Unique. Named for composer Frederic Chopin. Classic potato vodka, rich and creamy on the palate. Nice hints of orchard fruits throughout. Clean, crisp finish. A flavorful vodka, hardly neutral. Spicy, citrus-laced nose. Quite dry on the palate, filled with ripe fruit and anise flavors. Clean and crisp with tremendous balance. A versatle vodka. Clean and pure. A classic style with faint grain and mineral notes. Medium-bodied, slightly viscous without being at all cloying. Notes of wet stone and citrus zest trail on the finish. A great dry V Martini. Palate entry is piquant, zesty and intensely spirity; by mid-palate, sweet and kernel-like flavors of cocoa bean, corn mash and grape pomace make willing prisoners of my taste buds. Finish is medium-long, grainy sweet and slightly grapey. A neutral nose with faint hints of cake, sugar and peper. Light-bodied with subtle fruit and grain notes. Finishes quick and clean with a reemerging pepper hit. A subtle nose offering citrus and cotton-candy notes. A Slightly silky texture with faint brown spices on the finish. The packaging is an odd Dr. Strangelove meets novelty gift. A very interesting vodka. Toasted grains, mocha and sweet vanilla notes emerge on the nose. Super smooth and faintly sweet on the palate with a trailing citrus note on the finish. A great mixer. A beautiful example of a rye vodka. Slightly spicy and floral while clean and quite crisp. Super dry. Not enough body to use solo unless the ultra-crisp and neutral cocktail is what you seek. Made primarily with wheat. Very clean and pure with a beautifully fragrant nose. 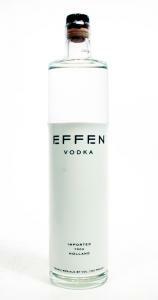 A classic neutral vodka with a pleasing oily texture. Perfectly adaptable to all of your favorite cocktails. Made entirely from wheat. A subtle nose of sweet grass and wet river-stone. An elegant style with emerging anise and mineral tones. A nice Martini Choice.